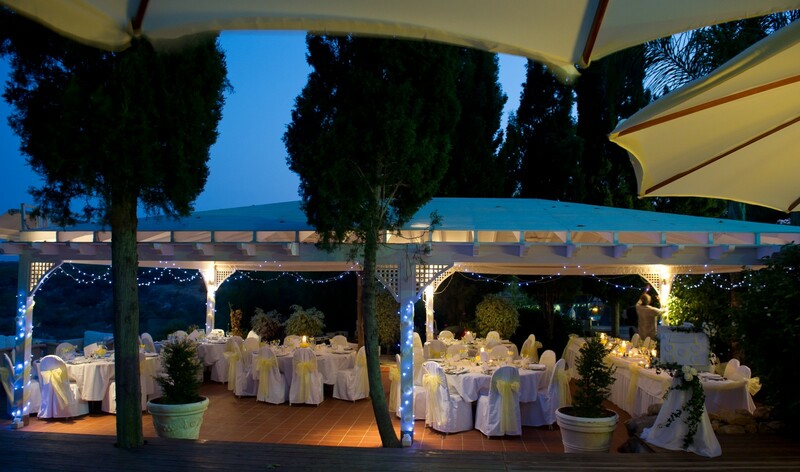 With breathtaking views of the Mediterranean and with one of the island's most privileged settings, the Grecian Park Hotel, will ensure that your special day will be full of romantic and beautiful memories, wedding wishes and dreams to last a lifetime. The Grecian Park Hotel offers the experience and dedication you deserve to make your wedding in paradise come true. The island of Cyprus otherwise known as Aphrodite's island, boasts one of the most romantic settings for your wedding abroad. 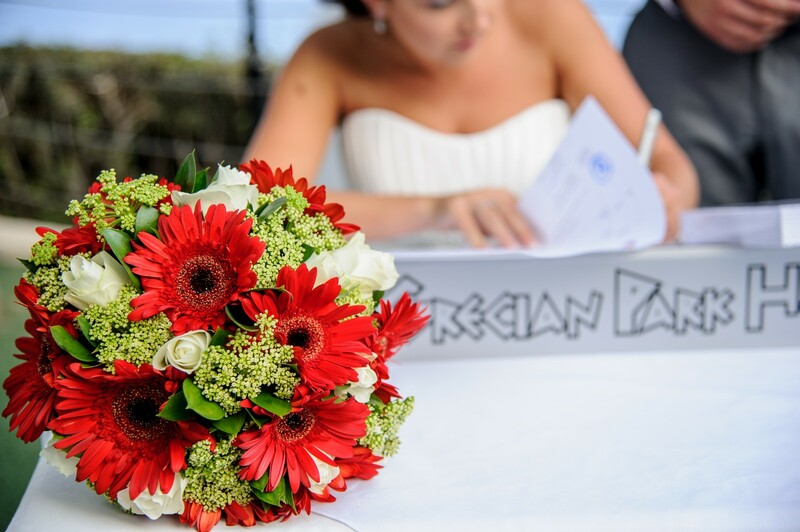 Planning your wedding in Cyprus and at the Grecian Park Hotel is very simple and enjoyable. Let us do all the wedding planning for you whilst you enjoy luxury accommodation, a peaceful and relaxing environment and the magnificent Mediterranean through the eyes of Konnos Bay and Cape Greco. Once your paradise wedding is complete, you will then be able to enjoy your honeymoon in Cyprus to celebrate the beginning of your new lives to together as one. 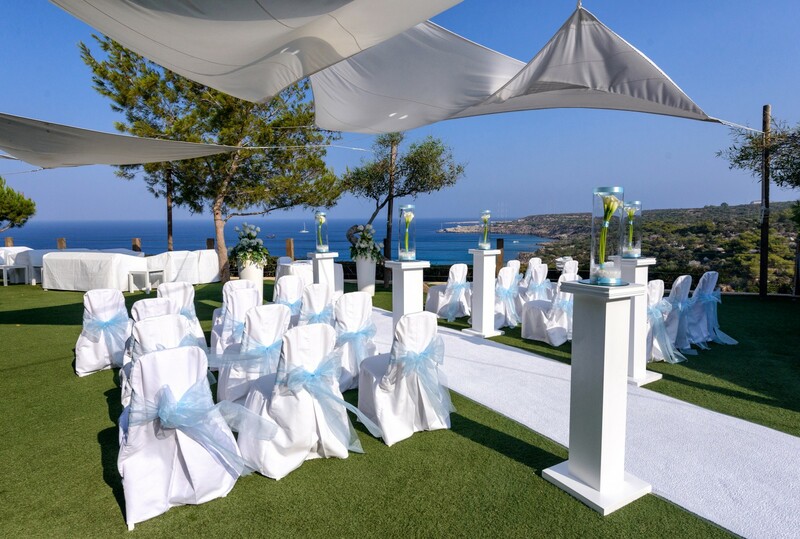 Stage 1: Outdoor wedding venues: Marriage outdoors on the panoramic deck which overlooks the enchanting Mediterranean Sea and Cape Greco. Your chosen wedding decorations complemented by this fairy tale setting will surely leave you and your wedding guests amazed at the spectacular view in romantic surroundings. Stage 2: Cutting of the cake, toasts with your wedding guests and wedding cake pictures. 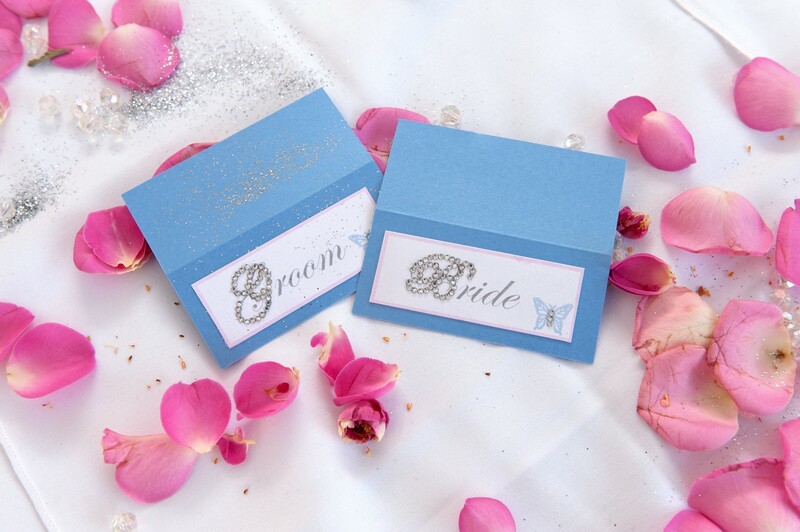 A different venue is offered which allows you to relax after saying those immortal words "I do". 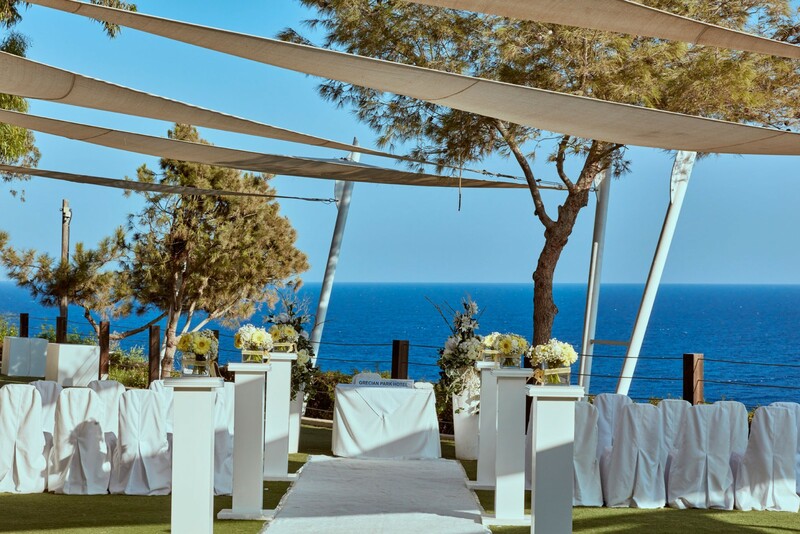 From our selection of top wedding venues, several options are available including the Cliff Bar which again overlooks the beautiful Mediterranean Sea and Cape Greco. 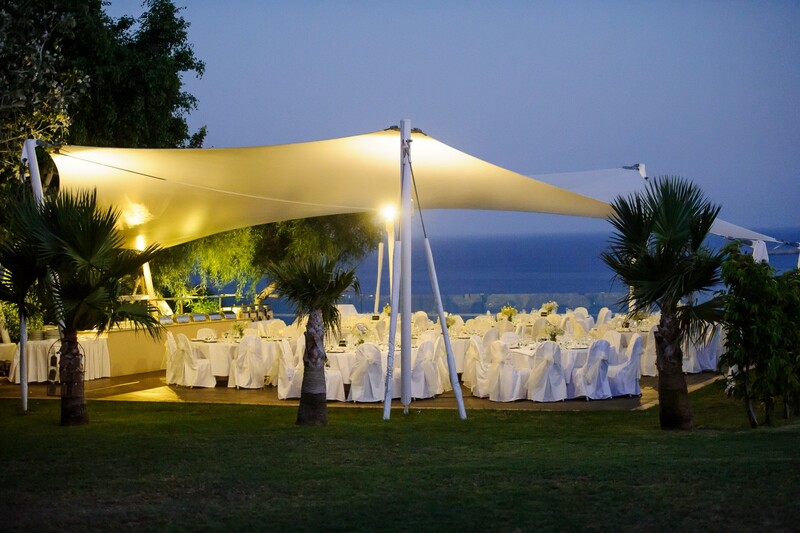 Your wedding in paradise will definitely be remembered for many years to come with this picturesque venue being part of your wedding in Cyprus. 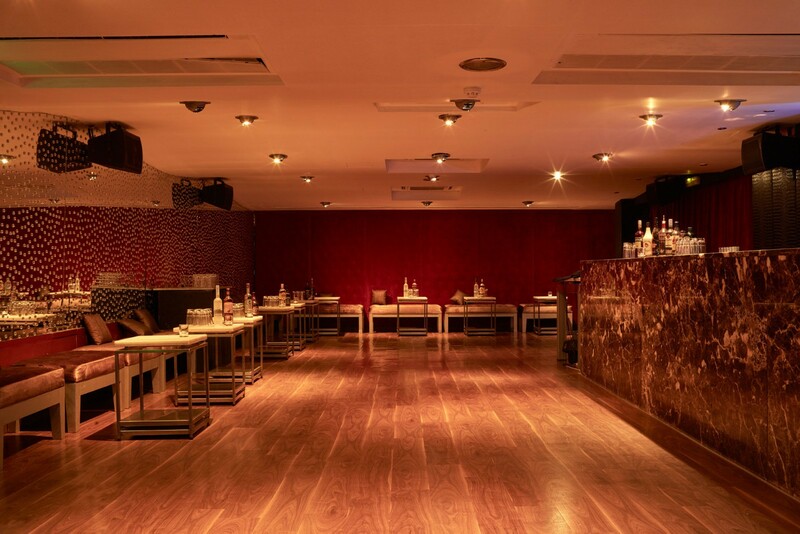 Stage 3: Dinner in one of the many venues of your choice. Your wedding in paradise would not be complete without a beautiful dinner setting. The above offer applies if the reception (cocktail and lunch or dinner) is taking place at the hotel. 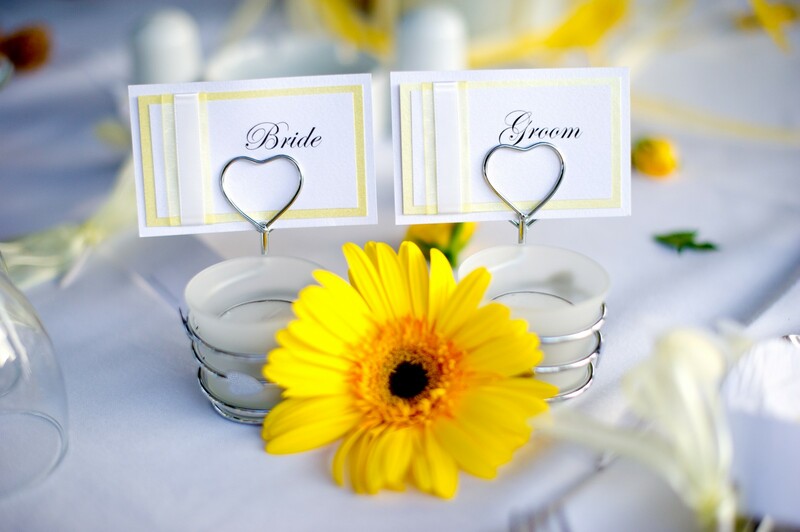 If the reception is not taking place at the hotel, a total charge of €800.00 is applicable for use of the ceremony venues (chapel or indoor/outdoor civil venue) and the above offer does not apply. The penalty is payable at the hotel. **This applies to Standard Rooms only, not to Family Rooms nor Suites. Our sparkling indoor suite is perfect for your civil wedding ceremony. Decorated with all the wedding touches, located in a private area of the hotel, our fully air-conditioned venue will enchance the elegance of your day.